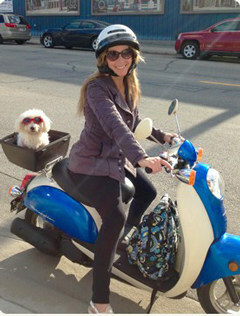 SOTA News November 2018 SOTA Instruments Inc.
SOTA Customer Care Team Member Sandrina and her sidekick Maddie are ready to head home after a day of assisting SOTA Customers. Our dog–friendly office is just one of the reasons we love working at SOTA ... made even more special by being located in the lovely Okanagan Valley of British Columbia. If you're ever in the area, give us a call and stop by for a visit. It'd be great to meet you! Our Silver Pulser Micropulsing Cords now come with two pairs of Conductive Rubber Probes! Over time, the Rubber Probes naturally lose their conductivity, and it happens so gradually it's easy not to notice. With our new Micropulsing Cord & Rubber Probes package, you'll be able to continue pulsing without interruption, keep the conductivity level maximized and continue feeling the pulse. Honestly, we're surprised we didn't think of this combination sooner. 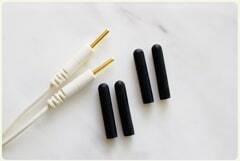 Of course, you can still purchase the Rubber Probes separately. You'll find the Micropulsing Cords with Rubber Probes under the Silver Pulser section of our Accessories page – www.sota.com/accessories. 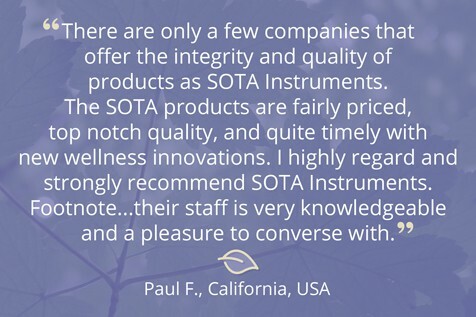 And of course, you can always order with our Customer Care Team by email at info@sota.com or by calling 1.250.770.2023 or 1.800.224.0242 (toll–free in Canada & USA). We're open Monday–Friday, 8AM–4PM Pacific time. 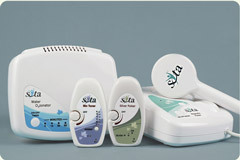 Looking for a more soothing experience while you relax with your Bio Tuner? Have you tried conductive gel? A little dab of gel on the earlobes can make the pulsing sensation a little more gentle. Some personal lubricants also work well in place of the gel. We suggest an organic product called Sliquid – it is water–based and does not contain gluten, glycerine, glycerol, parabens, propylene glycol, sorbitol or sulphates. It's easily available at drug stores (we found it at London Drugs here in Canada) or online – www.sliquid.com. And we've also discovered that Colloidal Silver Gel works great to provide a more soothing experience with your Bio Tuner session. You may already be sharing your "discovery" with your friends and family but have you shared it with your four–legged best friend? 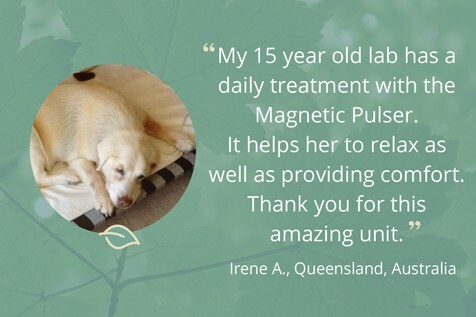 Pets love Ionic~Colloidal Silver. 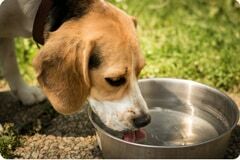 Simply add it to their drinking water a few times a week to share the benefits of Ionic~Colloidal Silver ... Just one part of your pet's wellness plan. 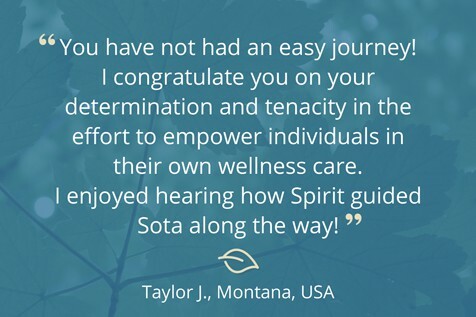 Whether you're new to SOTA with your first unit or you're integrating an additional SOTA unit into your Wellness Plan, it's natural to wonder what's the best way to get started. There's no particular recipe – but over the years we've learned from our customers – the keys are tuning in to your body and planning for regular, consistent use. 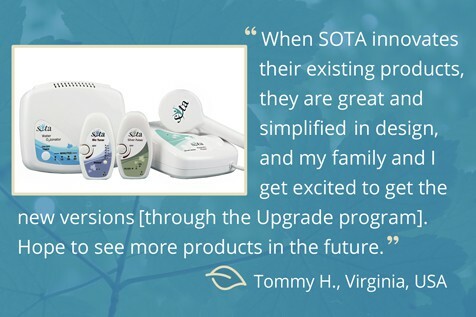 While the SOTA units are designed to be used independently, they can also be used together as part of an overall Wellness Lifestyle. When beginning, some individuals find it easier to introduce one unit at a time – allowing the body to adjust before introducing the next unit. Others start all the units at the same time. In general, when starting off, gradually increase the amount of time you use the unit(s) day by day. As with all Wellness Tools, pay attention to what works for you. The "just right" pace is different for each individual – listen to your body, respect what it's telling you, and make adjustments if you need to. The point is not to feel rushed. Each individual is unique. Some may be able to hit the ground running – and some may need to take a more gentle approach. Either way, it's okay. This isn't a "one-size fits all" situation. A Wellness Lifestyle isn't a race – it's a journey we choose for ourselves each day. We hear a lot about the importance of self-esteem; of being supportive and encouraging. This is how Sara Blakely, founder of Spanx, grew up. Every week her father would ask, "What did you fail at this week?" But rather than discourage Sara, it redefined her concept of failure. 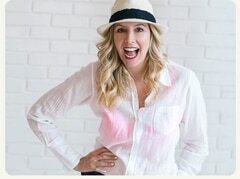 Enjoy this brief video interview in which Sara Blakely took her father's lessons about failure to heart – and became the founder and CEO of a multi–million–dollar clothing company. 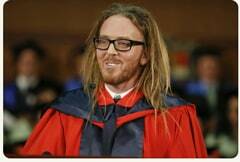 In 2013, University of Western Australia alumnus Tim Minchin was invited to deliver an address to the UWA arts and science grads. An Australian composer/lyricist, musician, comedian, actor, writer and director, Minchin shared his reflections on life at the ripe old age of 37. "9 Life Lessons" is laced with humor and well–placed cynicism – which Minchin would argue as he sees himself as a romantic and not a cynic – nevertheless, whether it's his take on the pursuit of dreams or exercise or remembering to define yourself by what you love (rather than what you are in opposition to), Minchin speaks with sincerity and a wisdom beyond his years. It's worth a listen. 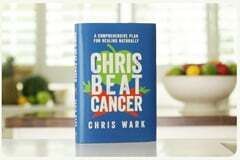 Congratulations to Chris Wark, a dear friend of SOTA, on the release of his new book, "Chris Beat Cancer: A Comprehensive Plan for Healing Naturally" launched September 25, 2018! Be sure to check out the book trailer – Chris is having waaay too much fun!